As you can see, here at Operation Game On we are celebrating life with all we’ve got, while respectfully honoring the service of our troops. Join us! 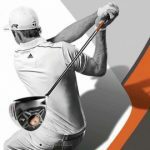 Your donations keep them swinging. Here’s what we’ve been up to lately in case you missed it. 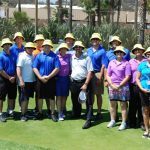 Here’s a few photos that help you see some of the excitement of “opening day” we experienced recently during the unboxing of some well earned sets of TaylorMade golf clubs and bags. These guys were beyond thrilled!!! With your continued support, you made this happen! 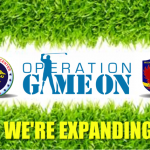 Operation Game On has been given an opportunity to expand our reach. 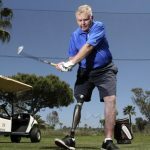 With the help of our sponsors and partners we’ve made tremendous strides in assisting hundreds of rehabilitating troops through golf, and this success has been noticed. 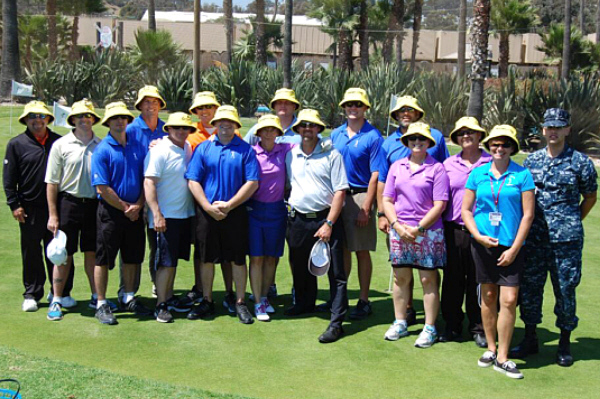 2013 Golf Classic A Success! 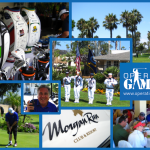 The 6th Annual Operation Game On Golf Classic was a VERY successful golf tournament once again! 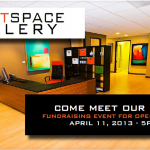 We want to thank everyone that helped make this event and fundraiser happen. 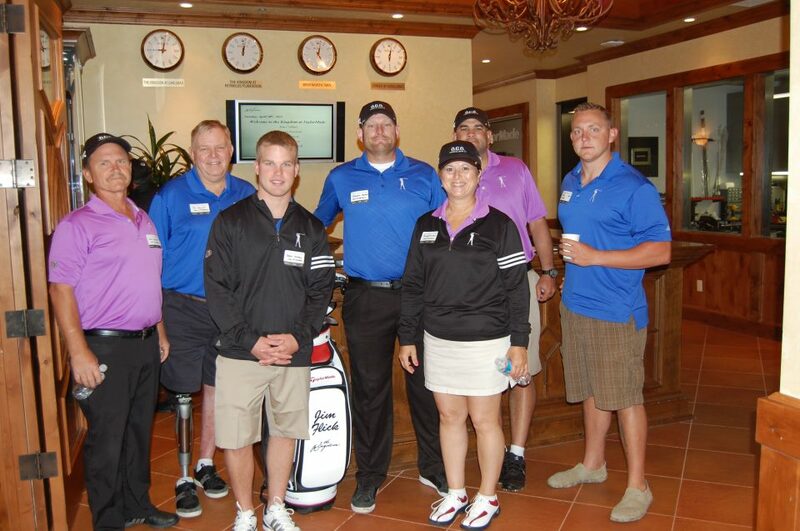 At the end of the day it is about providing opportunities to bring golf to our combat-injured troops. 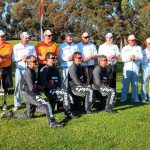 Recent graduates of our Operation Game On program are hitting a golf course near you. 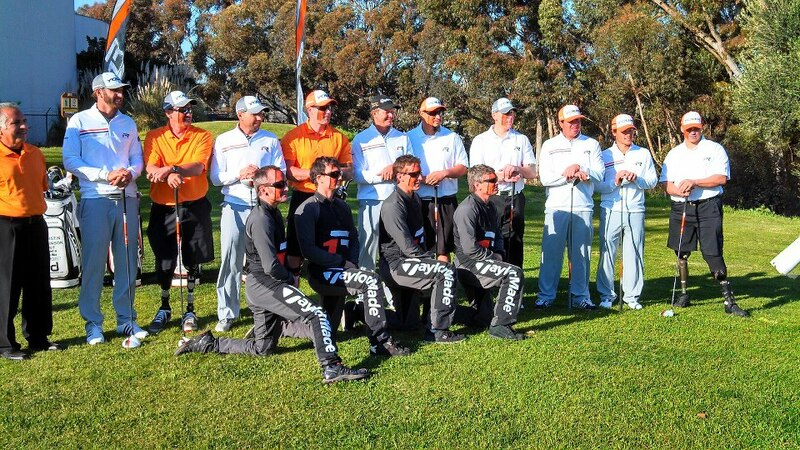 That’s right, this group is very eager to tee it up out there. 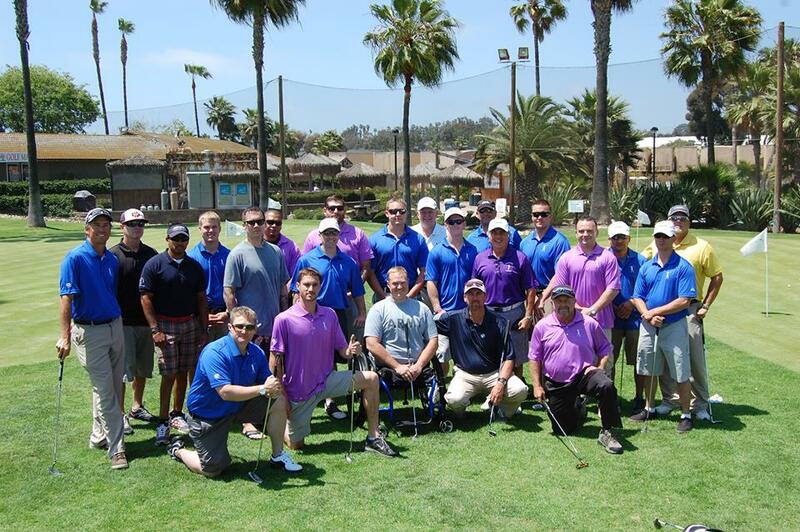 Special thanks to the Del Mar Golf Center once again and all our sponsors for your generosity and time. 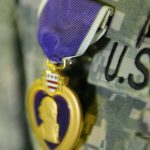 I want to take a moment to thank our heroes that earned the Purple Heart. This signifies that you defended my freedom and I will always be grateful. You will always be in my prayers and heart. 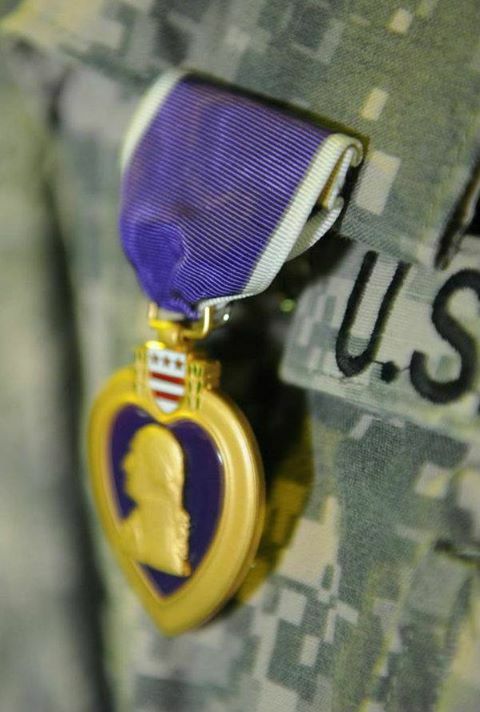 For those that paid the ultimate price, America will honor your heroic efforts. 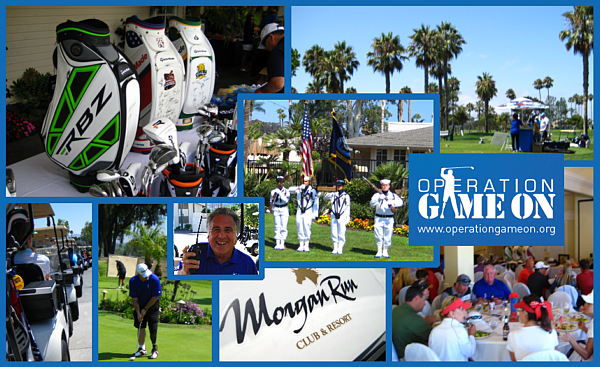 Our big 2013 event, the Operation Game On Golf Classic is now accepting online registrations. Mark your calendars! Our committee has been working diligently to make this the best event we’ve ever had. Support our troop and come out and enjoy an 18 hole tournament with loads of food and prizes. A new session began today for another group of OGO Heroes. We’re so excited to be able to provide this service to these fine men that have sacrificed so much for our freedoms. 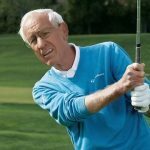 Your help makes a big difference! Thanks for giving. 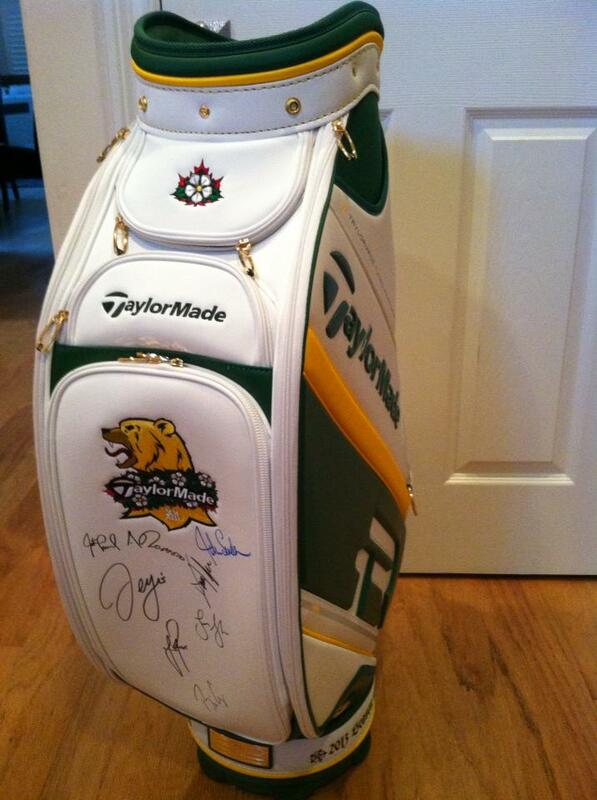 New TaylorMade clubs for the troops! 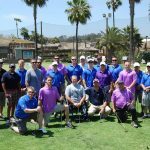 SmartSpace, a San Diego office space /art gallery, and Operation Game On invite you to a very special fundraiser MISSION to raise operational funds that will support rehabilitating troops through golf. It’s a special night with a special purpose. I told you this event was going to be amazing! 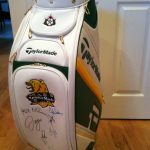 Here’s TaylorMade’s YouTube video which highlights this very special Troop Appreciation Day event. It was truly an honor to be a part of this special day. Everyone had a great time golfing at Morgan Run in our 2012 Golf Classic. We were able to raise money for Operation Game On and increase awareness. 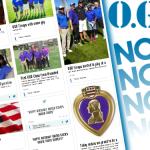 Operation Game On announces its newest program, WOW (Wives of Warriors). Paperwork has been filed and we have been approved by the IRS to make some small changes behind the scenes. We’re now accepting your donations exclusively under the 501 (c)(3) non profit organization name of Operation Game On. 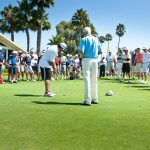 A recent episode of the local golf show ‘Top It Off’ was filmed on location at our Operation Game On Golf Classic Tournament. This was just the beginning to a truly spectacular day for Operation Game On. Thanks to Operation Game On graduates Davey Lind and Jacque Keeslar for their interviews and participation!